Now that the push and shove of the 2014 Geneva Motor Show is out of the way, we've had a chance to reflect on the dozens of new cars that appeared. This year the theme of the show seemed to be little city cars, but there was a lot of interesting metal on display besides small hatchbacks. Click through the gallery below to see our ten stars of the show. Peugeot, Citroen and Toyota might have revealed their new small cars, but Renault’s cute little Twingo stole the limelight thanks to its rear-drive, rear-engine layout. It shares a chassis with the next Smart ForFour, but the cars are very different. 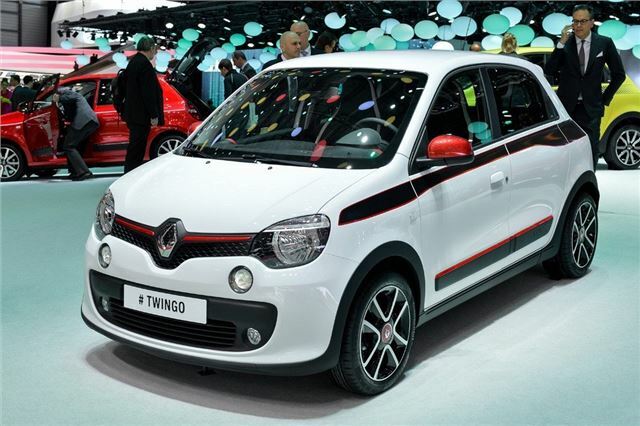 Expect competitive pricing when the new Twingo arrives. Engines from launch will be 90PS and 70PS three-cylinder petrols.